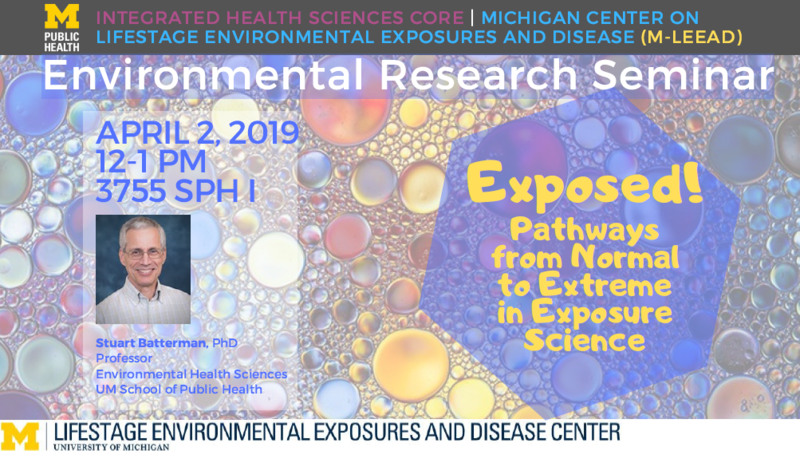 Michigan Center on Lifestage Environmental Exposures and Disease (M-LEEaD) is a National Institute of Environmental Health Sciences Core Center. M-LEEaD improves our understanding of the contribution of environmental exposures toward the etiology of chronic diseases and conditions like asthma, neurodegenerative diseases, metabolic syndrome and prematurity. 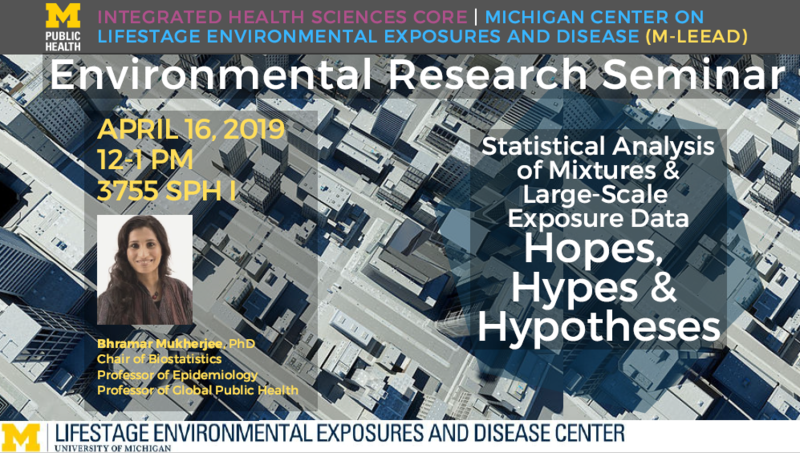 The M-LEEaD Center supports research in environmental health sciences with three Facility Cores: Integrated Health Sciences Core (IHSC), Exposure Assessment Core (EAC) and Omics and Bioinformatics Core (OBIC). 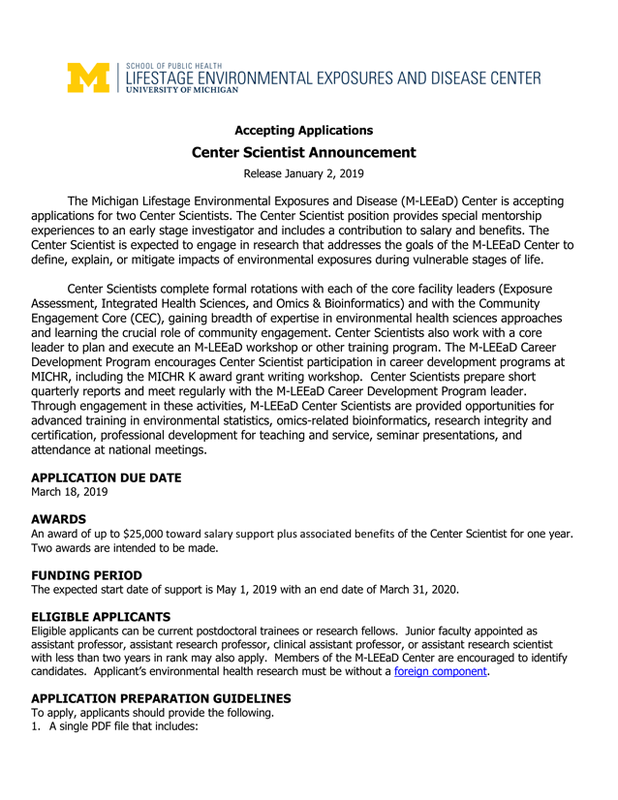 The Michigan Lifestage Environmental Exposures and Disease Center (M-LEEaD) has extended the application deadline for a Center Scientist until May 21st, 2019! The Center Scientist position provides special mentorship experiences to an early stage investigator and includes a contribution to salary and benefits. 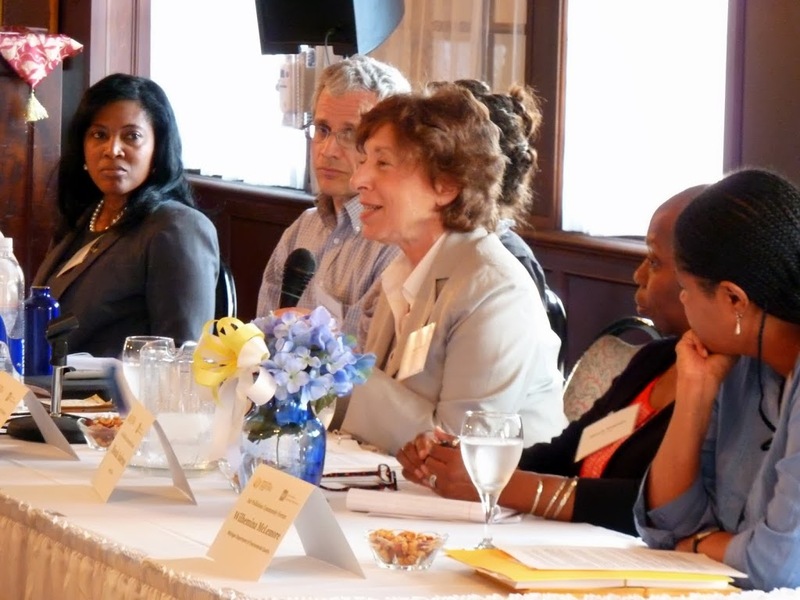 The Center Scientist is expected to engage in research that addresses the goals of the M-LEEaD Center to define, explain, or mitigate impacts of environmental exposures during vulnerable stages of life. Application due date: May 21, 2019; expected funding period: July 1, 2019 through March 31, 2020. Do you have any recent achievements that they would like us to share with NIEHS? This information will be used to: 1) share information with other centers, 2) share data with NIEHS staff for internal presentations, and 3) update programmatic webpages. Please be sure to clearly identify any proprietary information (i.e., information that should not publicly shared, e.g., if data are not yet published). Please consider providing highlights as short summaries with catchy headlines. Please contact us with any achievements you would like to share. 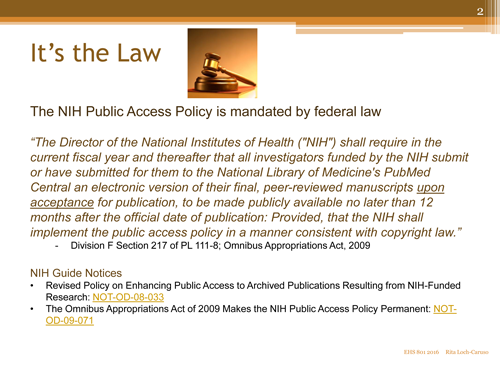 Per NIH grants policy, all publications, press releases, and other documents relevant to research funded by the center must include a specific acknowledgement of support. Citing the Center Grant: Per NIH grants policy, all publications, press releases, and other documents relevant to research funded by the center must include a specific acknowledgement of support. Click here for more information.